So what are some good chest building exercises? Obviously the bench press is king, in most people’s eyes. And it’s true, if you increase your bench press strength then you will add some serious mass to your chest. Chances are you are already doing bench presses for your pec workouts. 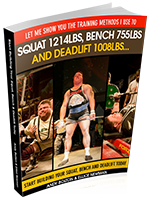 So you are here trying to find some new exercises to add to your tool box. 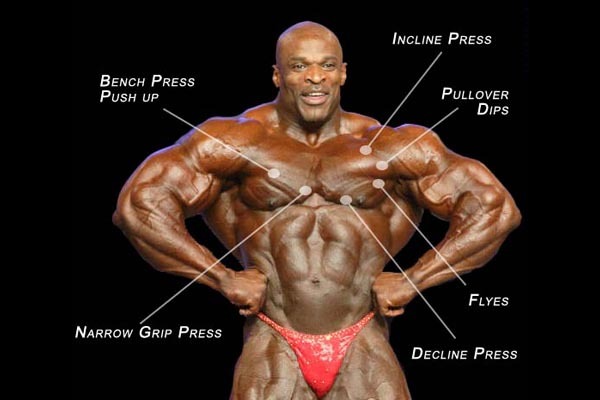 Well here are a few chest building exercises that you probably aren’t doing. Squeeze Press: The Squeeze Press incorporates dumbell bench presses with palms facing each other. Start with the dumbells touching each other on your chest (palms facing each other) and you then press the dumbells up untill the elbows are extended. Throughout the exercise the edges of the weight plates touch each other. Take a short pause at the top of the lift. Dips w/Feet In Front: These are performed just like a traditional dip. The only difference is that you move your feet out in front of you while maintaining your upper body forward tilt. This puts your body in a crescent moon shape. This takes the triceps out of it more, and emphasizes the chest. Explosive Push Ups: Stand next to a bench, facing it. Your shoulders should be parallel to the bench. From this standing positon drop down to the bench and catch yourself on the bench in a pushup position. Try to immediately explode back up to a standing positon. This will activate the fast twitch muscles in the chest. There you have 3 chest building exercises to add to your pec workouts. They will hit your chest from a new angles, and help your break through plateaus.